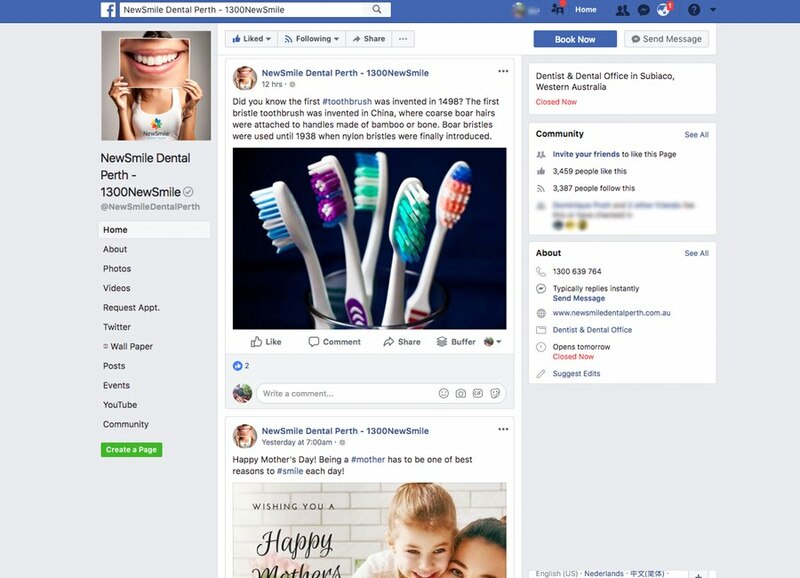 Our Patient Growth Package in action: content & email marketing, video and social, web design and SEO working together in one integrated strategy. 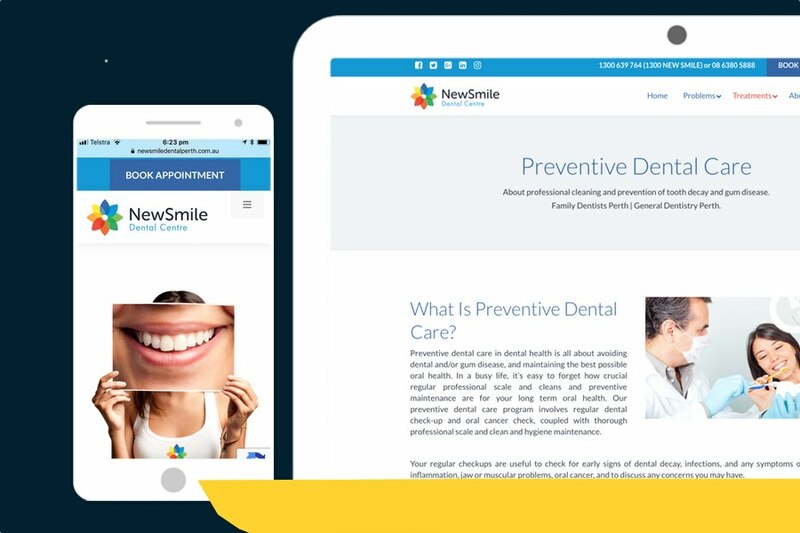 Dentistry is a highly competitive healthcare segment. When you want to outperform your competitors, the recommended package is our Patient Growth Package. If you want more visitors and web traffic, a modern web design alone won't be enough. 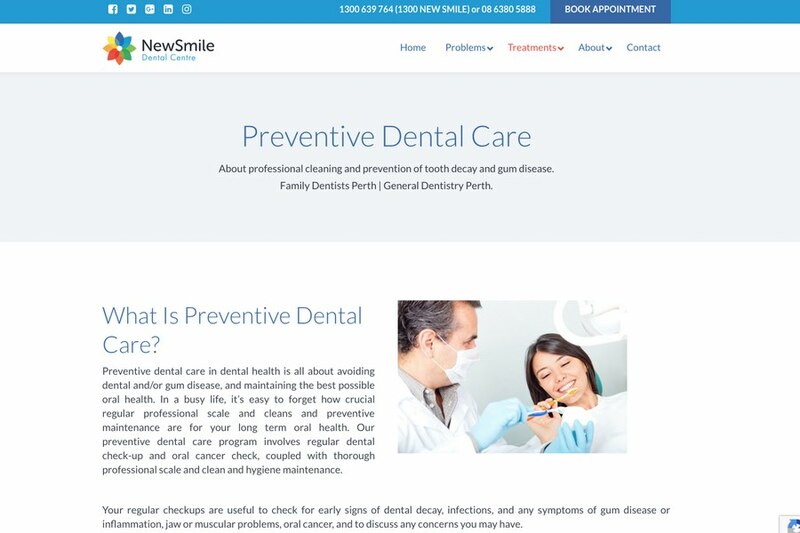 NewSmile Dental had a very good understanding of the market and chose the Patient Growth Package. 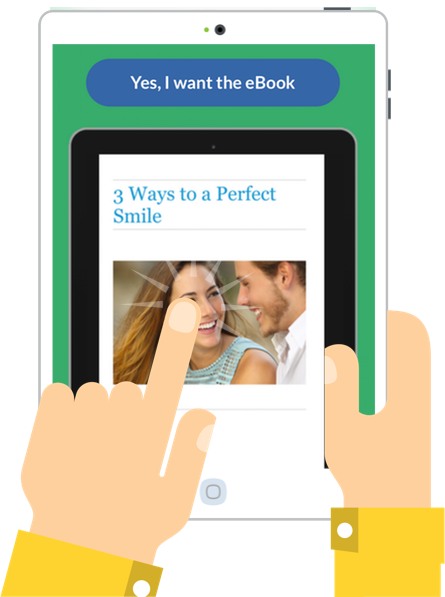 On top of the website creation, it includes fortnightly blog posting, frequent posting on social media, YouTube videos, and an eBook linked to email marketing. Scroll down for package details. Email Marketing: blog articles are then sent out to database. Result: a running Adwords campaign based on a monthly Adwords budget.